missing, no sightings or any news from local vet’s or RSPCA. Hi was last seen on the morning of 17th March. 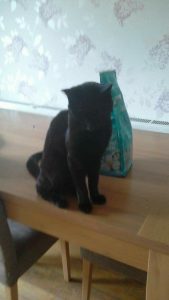 He is 4 years old, black short haired male.